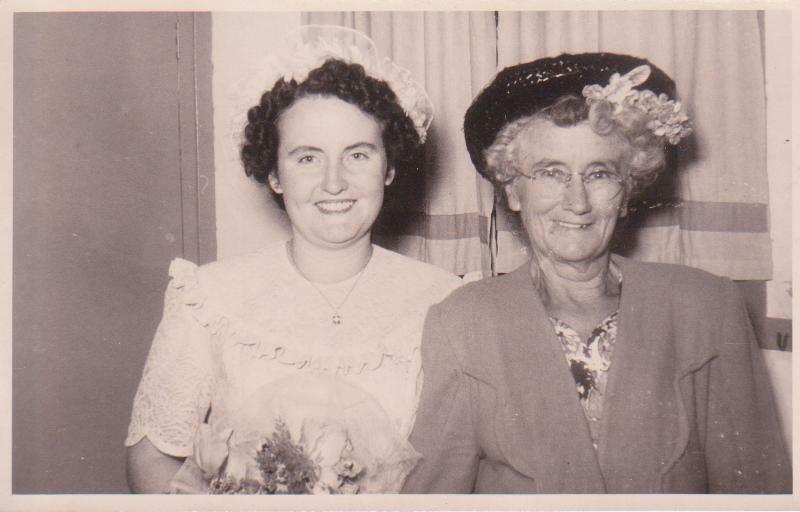 Today is the 60th Anniversary of the death of my maternal Grandmother, Elizabeth Mary (Murray, Evan) Allan, but it’s more than that. It’s about the love of a daughter for her mother and a deep sense of loss and grief, when her mum died, which never passed. 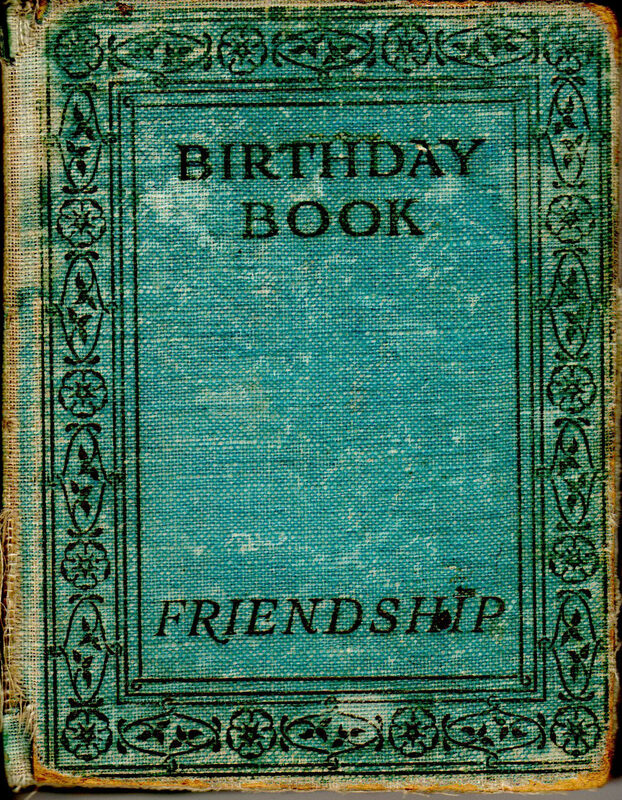 Growing up, my mum’s “Birthday Book” held great fascination. How I loved thumbing through, reading the poems about “Friendship” and asking about people whose names appeared but were a complete mystery. This is how I came to learn that mum had a brother, named Norman… although he was actually a half brother, and opened up a whole part of my Nana’s life which was previously unknown to me. 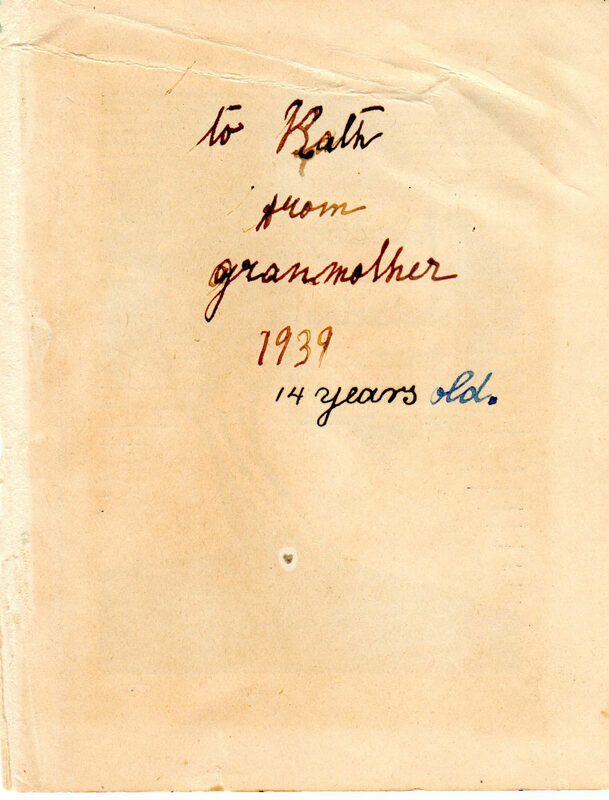 It was, and still is, wonderful to see my great granmother’s writing but the stories which were prompted by this entry are the real treasures. Often when thumbing through mum’s Birthday Book I would pause to read her writing, on the back pages, which all related to the death of her mum. I have vague memories of my Nana in a BIG bed just off from our kitchen, which is where she died. She had been very ill for many years so she, and Grandpa, came to live with us. Mum nursed, and cared for, her beloved mum until her dying day. Interesting that this room later became named “the living room”, was where in later years the “tellie” was located and mum, dad, grandpa, my three brothers and I “lived” out our family indoor leisure time… mmmhhh… but I digress. A few minutes later we were home, traipsed through the kitchen where the “rellies” were sitting around drinking tea and eating ??? … and on into the “living room” where we were taken to this huge “box” on stilts which I later learnt is called “a coffin“. We were then told to say “goodbye” to our Nana. My last memory of Nana is that she looked very young and the six year old me decided that, like magic, death suddenly makes you young again. 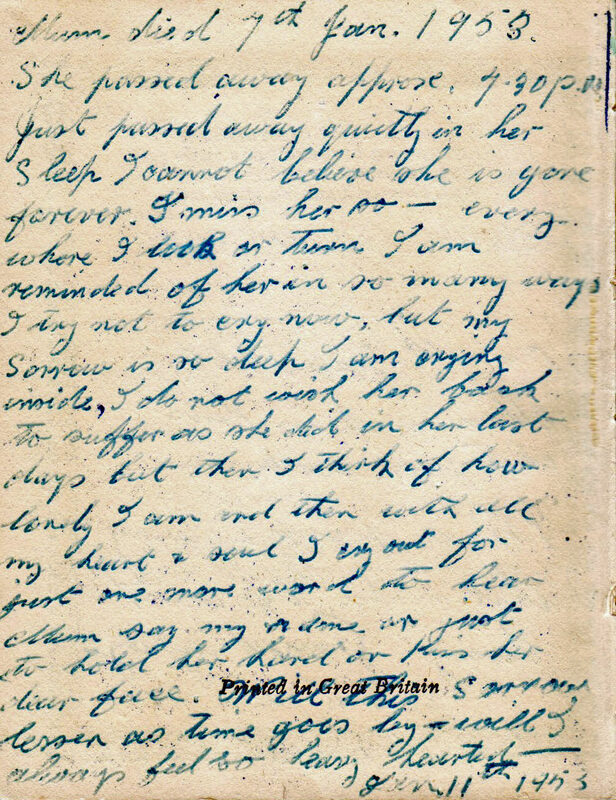 Now I realise that all that time we were away, the Undertaker must have been busy at work for mum writes that her beloved Mum died at 9.30p.m… which must have been the previous night. My mum was only 28 years old when her mum died and I was 61. Mum had four young children at the time, the youngest being only four, whilst my three were all grown up and with children of their own yet still I cry out, at night, just to feel her arms around me and to “chew the fat” one more time. Luvya mum and still miss you more than I can even begin to say but happy that you are now re-united with your own dear mum. 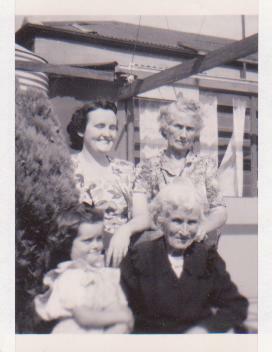 This entry was posted in Allan, Crout, Customs, Murray, My Childhood and tagged Death and Loss, Family History, Genealogy, Memoriums, Mothers and Daughters by Catherine. Bookmark the permalink. What a poignant and beautiful post, Catherine. I can relate to a lot of that… Your poor mother, that was a young age to lose hers. No wonder she was in such pain. They must have been very close, as you were with yours. Thankyou Frances. I do hope this hasn’t deepened your pain regarding the recent loss of your own dear mother. Your comment reminded me of the discussions mum and I had re: my great fear of her dying and then a beautiful letter of comfort she sent, many years ago, which I’ve tucked away. Time to rediscover it, I reckon, and be comforted again. Thankyou SO very much. Oh, no, Catherine, your lovely post didn’t upset me at all. I think finding that letter is a very good idea. What a lovely tribute to your mother and grandmother! No matter what their age, it’s always difficult to lose a mother. Yes, they’re definitely special and irreplaceable. What a beautiful tribute to two special women! You told their story and yours wonderfully. Thankyou Lisa, that’s a very kind thing to say and am so glad you dropped by. I clicked over to your blog, congratulations!!! When I tried to subscribe, by email, “Feedburner” gave the message that you hadn’t “enabled” this procedure. If you do, please let me know cos I’d really like to “follow” you. Cheerio for now. Catherine. Thank you, Catherine for letting me know about my subscribe by e-mail issue! I’ve corrected the problem and it’s good to go. BRILLIANT Lisa!! !… when I first read this message “Feedburner” was still not working for me so I gave it 24 hours to “get it’s act together” and now it’s working like a charm and I’m smiling. Cheerio, Catherine. What a beautiful, poignant post Catherine. I’m just having a little weep. My mother and her mum were not close, but I know she misses my gran just a little bit. I certainly do! My family is so scattered and as everyone gets older I am more and more afraid of what the future holds for us. I’m so looking forward to seeing my mother in a few weeks – it’s been about four years since we’ve been in the same country and I miss her. Your line about “forgetting to include you” reminded me of my brother in law recently, who “forgot” to tell my partner and their sister that an aunt had died. Apparently he was just “so busy”! He only let us know when he was on the way to the funeral – in another part of the country. By then it was too late for my partner and his sister to get there. Families so often bring out the worst in us; it’s as if the patterns of interaction formed in childhood are so strong that even when as adults, we are incapable of behaving like “grown ups”. Always lovely to have a chat Su… Families are so very complicated and I’ve found that, despite all I’ve done to try and keep the peace and keep the family together as was mum’s expectation of me as the only girl, events will take their own course. Maybe it’s “Karma” ??? The “forgetting” to include me in the arrangements for mum’s funeral led directly to an out pouring of anger/ emotion from some members of the family which 6 years later has still not healed, and could have been prevented if those who had little to do with my/ our mum in her “final years” hadn’t excluded me in an attempt to re-write family history… but there you go. Seems it was “meant to be”. Thank you so much Catherine. I also enjoy our chats. It’s lovely to be able to explore the thoughts and ideas I have about families with someone else who understands and has reflected on their own family relationships. My partner’s family is very fragmented and in recent months, since my father in law broke his hip, all sorts of old tensions have risen to the surface. It has caught my partner quite unawares and he is suffering greatly. He is a very gentle soul, not really cut out for the nastiness and back-stabbing that families can engage in. My heart aches for him sometimes, and there is so little I can do except keep our little family close. I’m fortunate to have one sibling on whom I can completely rely (and one I struggle with), but sometimes I look at my son who’s an “only” and I think that his situation is maybe not so bad after all. So much love to the whole extended family, Auntie Catherine… especially your kids. You are all in my heart and thoughts just now particularly.